It's a secret! I wasn't sure if it was a good idea to spread the word about this secret spot but it's so stunning, I felt it would be an injustice not to. Whether you're an adventurer, water sport enthusiast or the kind of person who prefers to sit back and relax, Mann River caters for everyone. 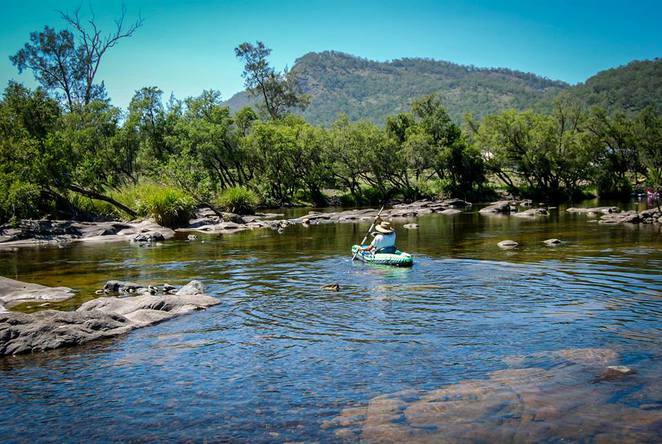 Mann River is tucked away in the Northern Rivers region of NSW halfway between Grafton and Glen Innes. Along with other tributaries, Mann River forms part of the mighty Clarence River catchment. It is approximately 4.5 hours from Brisbane and is perfect for a night or two away. This beautiful part of the world is relatively unknown. In fact, my partner and I stumbled across it by accident last year when we were supposed to visit Gilbraltar Range National Park but instead forgot to get petrol, almost ran out and were desperately searching for fuel when we came across this beautiful river. My partner being the keen fisherman he is, was hooked and made me swear that we would return. Hence, we spent our Christmas holidays camping on the banks of Mann River. 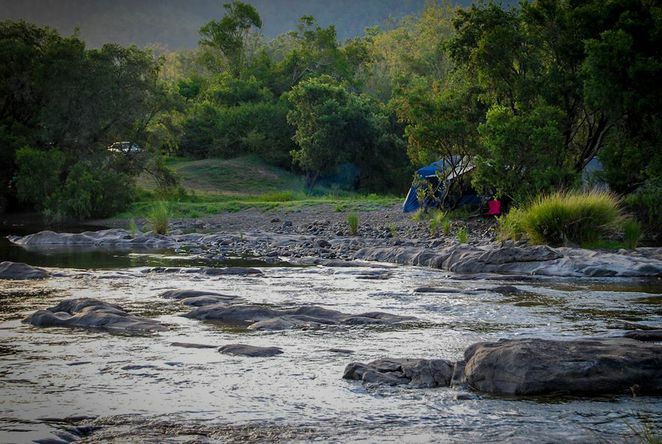 There are two free campgrounds along Mann River; Cangai Campground and Broadwater Bridge Campground. Accessibility to these campsites depends on the condition of the roads. We drove a 2WD and had no trouble at all along with others driving motorhomes and towing caravans. However, in saying this, without a 4WD you may be limited to certain areas for camping and as the roads are unformed, they can change in an instant and you might not be as lucky as we were. The campgrounds at Mann River have no facilities so be sure to bring everything you need to be self sufficient. Water is available from the river but will need to be boiled before consumption. The nearest shops are situated in Grafton so stock up on everything before you come. There is a small shop at the caravan park in Jackadgery (approximately 15 mins away) for urgent supplies. 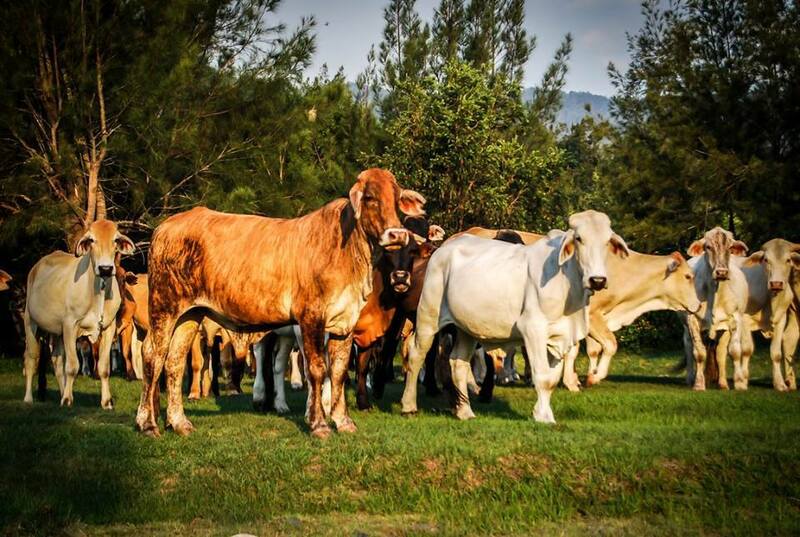 The cows might pop by to say hello! 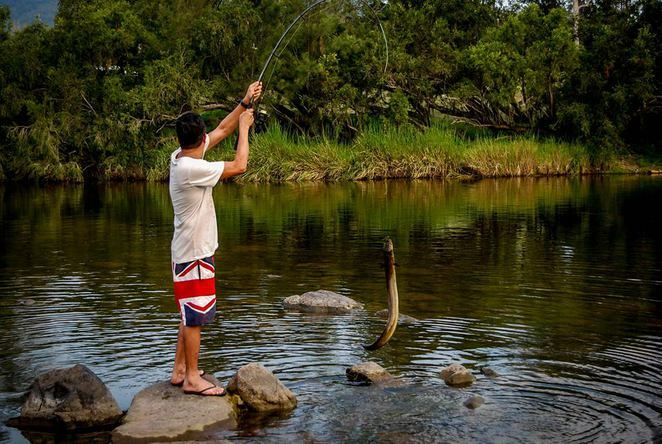 There are a lot of activities to keep you occupied at Mann River. It is paradise for recreational fishers as there are huge bass, cod and eel to be caught. It's also great fun trying to catch fresh water yabbies. Be aware, however, that Mann River is closed for fishing from August to October to allow for breeding of the Eastern Freshwater Cod. Yikes! We caught an eel. Mann River provides opportunities to kayak or canoe whilst enjoying the beautiful surrounding scenery. There are plenty of good spots for swimming and floating/tubing down the river (if you're game enough to walk all the way back once you get off your tube). For the avid explorers, you can head to nearby World Heritage Gilbraltar or Washpool National Parks where there are numerous rainforest walks, natural granite sites and scenic lookouts waiting to be explored. If none of these activities rock your boat then there's always the option to relax in your chair/hammock by the river, drink in hand and finish that book you've been waiting to read. On a final note, it is worth checking the levels of Mann River before you go. Anywhere between 0.70m and 1.1m is ideal. If it's below, it makes it hard to kayak/canoe as there is less flow and more rocks. If the river level is too high, it could be too strong and an increased risk of flooded roads. From Brisbane, travel on the Pacific Motorway until you reach Grafton. Travel west out of Grafton on the Gwydir Highway for ~69km and turn right at Cangai Bridge Road. Follow for 2 km to reach the Cangai Campground. To go to Broadwater Campground, follow the road for 1km and then turn left into Hanging rock Rd and continue. Thanks for sharing Anna. Definitely putting this on my to-do list, as looks like a great place to relax. If you are ever in the area again, another really beautiful place not too far away, and also off the Gwydir Highway, is the Old Glen Innes Road (between Grafton and Glen Innes). 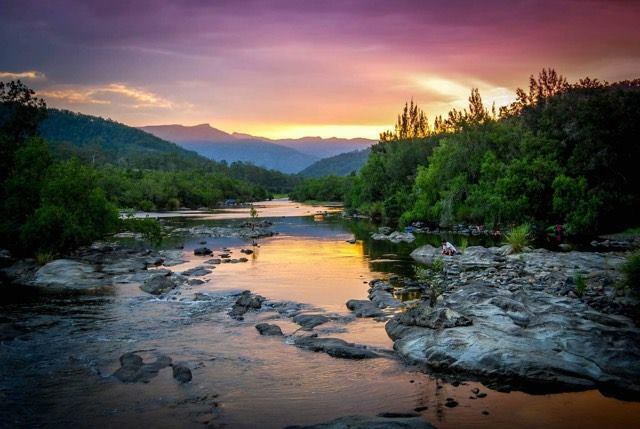 It has stunning scenery, an historic tunnel, Dalmorton which is an abandoned town (still a few old buildings from the 1800s), and the Mann River Reserve where you can camp. Great article and they are nice spots, but as a local I wanted to mention that the two spots are owned by crown lands and actually aren't designated camping areas (even though lots of tourists think they are) this is due to the fact it's a flood area and there are no toilet/waste facilities (which means people leave their rubbish and toilet waste around).